Christian Supporters of Israel Concerned With Jimmy Carter's Upcoming Address at Liberty University - Breaking Israel News | Latest News. Biblical Perspective. Just days after U.S. President Donald Trump is scheduled to inaugurate America’s embassy to Israel in Jerusalem on May 14, a former president with a less than stellar record on supporting Israel will address commencement at Liberty University, America’s premier evangelical college. The speech by former U.S. President Jimmy Carter to future evangelical leaders is noteworthy due to his controversial accusations that Israel is an apartheid state, coupled with a longstanding feud between Carter and the late Rev. Jerry Falwell Sr., Liberty University’s founder and first president. The school is now run by Falwell’s son, Rev. Jerry Falwell Jr. While polls have indicated that support for Israel remains high across the United States as a whole, it’s waning among certain key segments, including millennials. As a group, they tend to be less connected to faith and see Israel only through the lens of the Oslo peace process, which for 25 years has failed to bring a negotiated peace settlement between Israelis and Palestinians. Millennials think that because of the accords, Israelis were supposed to make peace and create a state for the Palestinians; it didn’t work out that way, and so they perceive Israel as occupier. Their parents remember Israel’s struggle just to survive—the wars of 1956, 1967 and 1973—and view Israel in a very different light. The declining support among millennials is equally prevalent among evangelical Christians, a segment in American society whose adult members exhibit the greatest support for the Jewish state nationwide, raising concern for the support of Israel in years to come. “Some recent surveys have shown what we have known for some time—namely, that many millennials are less supportive of Israel than prior generations. This is even true among some Christian millennials,” said Cindy Matthews, director of External Affairs of Covenant Journey, an experiential trip to Israel for Christian college students that teaches participants how to advocate for Israel. “We have found that the millennial generation is less grounded in worldview and Christian faith. The more they move away from their Christian faith, the more they disconnect with Israel,” Matthews told JNS. 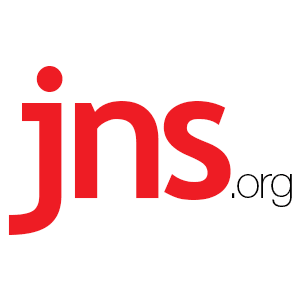 Alex Traiman is a writer for JNS.org, an independent, non-profit, business resource and wire service covering Jewish news and Israel news for Jewish media throughout the English-speaking world.